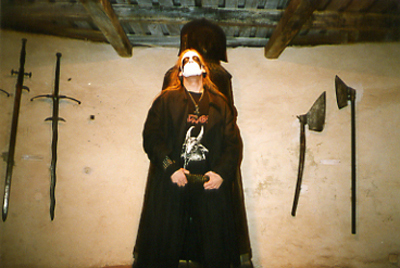 Countess is a Dutch band that plays 'Orthodox Black Metal'. They started recording albums in 1992. Between 1993-1997 the band went through numerous line-up changes; however they managed to play live occasionally, mostly in Holland and Germany. Amongst the bands they joined on stage, one can mention Barathrum, Ancient Rites, Mortuary Drape and Sabbat from Japan. Since 1998 the band hasn't played live, because of the constant line-up change. Countess has released 11 full-length albums, Heilig Vuur (2004), Spawn of Steel (2005) and Holocaust of the God Believers(2006) being considered the bands finest.